Help us portray real nurses to the world! Real portrayals of the nursing profession are few and far between and instead of settling for buying stock photos of fake-looking models posing in Halloween nurse costumes, we figured that we might as well try asking the many nurses who use our nursing job board to send us their own, real, photos and let us use them to better represent the face of nursing to the world. What are we looking for? Photos of real nurses. Photos of you at work. Our first photo contest earlier this year was so successful that we’ve decided to launch a new ongoing photo contest! We’ll periodically select the best photos and award the winner a $100 prize. 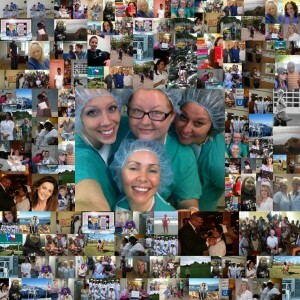 Enter the contest by emailing your photo to contest@nursingjobs.us. NO ENTRY FEE IS NECESSARY TO PARTICIPATE OR WIN. THE CONTEST IS VOID WHERE PROHIBITED BY LAW, REGULATION, STATUTE OR OTHER APPROPRIATE LEGAL AUTHORITY. Contestants grant NursingJobs.us a worldwide, perpetual and non-exclusive royalty-free license to reproduce and publish each submitted photo.